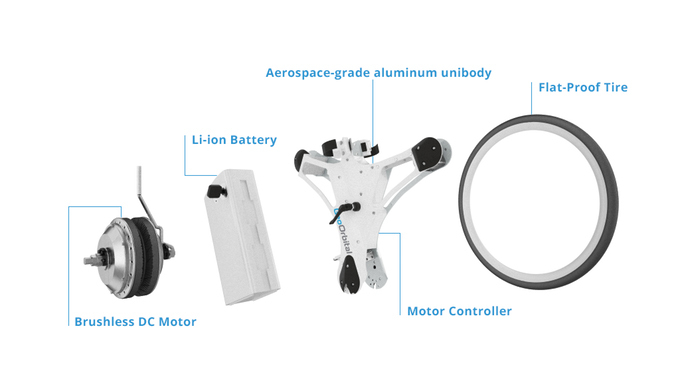 Add an electric motor to your bicycle in just a couple of minutes with the GeoOrbital. 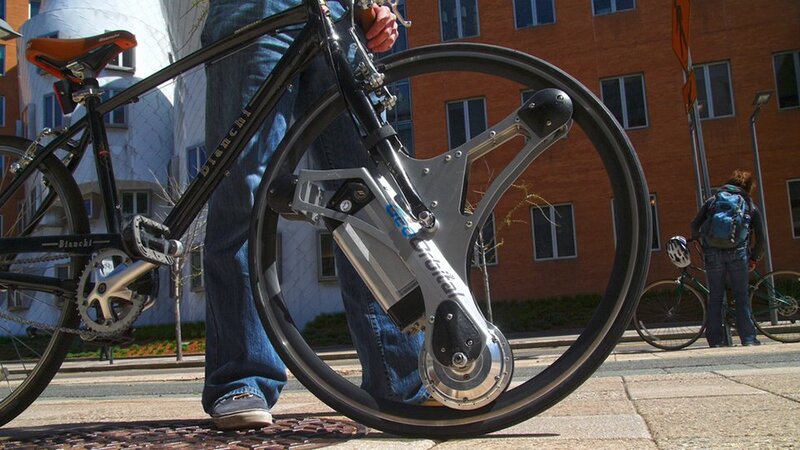 Its 500w motor goes up to 20mph for up to 20mi per charge without pedaling. 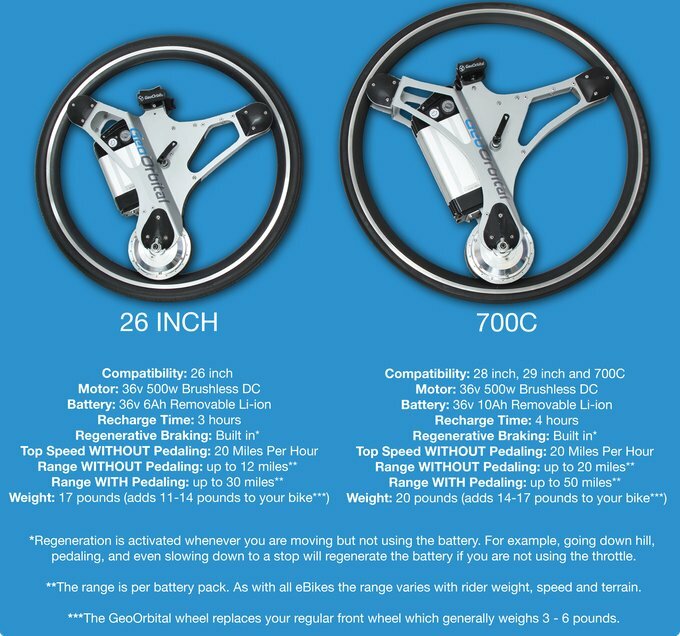 The electronics are mounted inside the rim and flat-proof tire, which mount into your existing front fork.